Registration closed on 6 March. Room 304, Institute of Biochemistry of the Romanian Academy (IBAR), Splaiul Independenței 296, Bucharest. N.B. 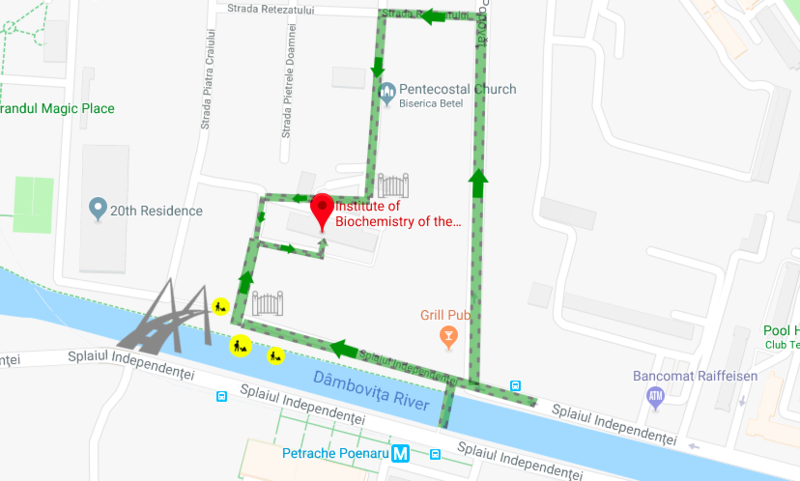 : We would like to point out that there are some road/bridge works right in front of our Institute and this might create some confusion on how to reach us. Hopefully this picture will help you with that. Please take a printed copy and consider a few more minutes to find the way. We will not mind if you are here earlier. Apologies for the inconvenience and thank you. Introduction to EMBL-EBI Bioinformatics resources. 9:10 Andrei Petrescu IBAR, Romania Research at IBAR. Assisting Experiments with Structural Bioinformatics and Molecular Modeling. Introduction to IntAct – a Protein-Protein Interactions resource . Training materials can be downloaded here. The is no fee for attending the training. The training sessions are kindly sponsored by EMBL-EBI and the Institute of Biochemistry.